We are in the office of David Rubenstein talking about what his life is like and how he achieves his own optimal health. We talk about how David stays healthy and strong to change the world in only the way that he can. In case you aren’t familiar with David, he is one of the three billionaire founders of The Carlyle Group a private equity investment firm located in Washington, D.C.
David is a philanthropist who has joined with other wealthy individuals like Bill Gates and Warren Buffet who have pledged to donate more than half of their wealth to charity and philanthropic causes. Some of his charitable contributions include an $18.5 million gift to the National Park Foundation for restoration of The Lincoln Memorial. David is an extraordinary human being, and we hope you enjoy this glimpse into his life. Learn more about BB&R & Achieving Optimal Health Conference by visiting BBRconsulting.us. [02:12] Find out what happens when we give David a green drink with kale, spinach, apple, lemon, and ginger. [02:49] David gets up around 5:30 and thinks about exercise for a couple of minutes and then watches the news and gets ready for work. [03:16] He gets into his office at about 7:00 and reads the paper and catches up on emails. Then he has meetings until lunch where he usually has a speech or interview. [03:35] He also travels and has dinner interviews. [03:50] Sleep is a complicated subject for David. He gets 5 hours a night of sleep. He gets more on the weekends. He is a little sleep deprived because he is not good at saying no. [04:31] He makes 250-300 speeches a year, 100 interviews a year, he has the private equity firm, a family office, and chairs several non-profit boards. [04:42] He tries to squeeze as much into his life as possible. [05:14] David has been blessed with good health. He's never been in the hospital overnight other than when he was born,but he has a lot he wants to do with the rest of his life. [06:10] He exercises by osmosis by walking by all of the gym equipment in his basement. [06:41] When he takes time off and goes to Florida he does walk 10 or 15 miles a day. [07:03] David has reached the aged where he recognizes he is not an exercise person. [07:20] David has never tasted alcohol. He doesn't do dangerous things. He also doesn't take any medications and has never smoked. [08:24] David feels that his genes are helping him. Although, he wishes he could exercise more. [09:52] David came from modest circumstances. His parents taught him that he could achieve anything he wanted. 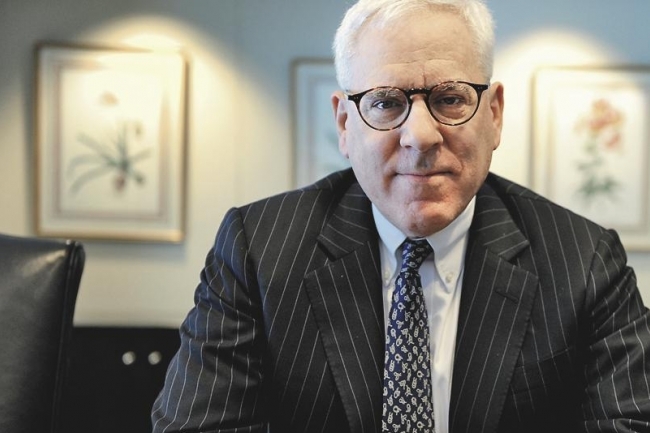 He worked hard and started The Carlyle Group when he was 37. [10:54] When he was 54, Forbes magazine wrote an article about how much money he had made. He then decided to spend the last one third of his actuarial life giving away the money that he made. [11:17] He was one of the first 40 people to sign the giving pledge. He didn't want to just give money. He wanted to do other things to help. [11:44] He is the chairman of the Kennedy Center, the Smithsonian, the Madison counsel, Duke University, and he chairs many other organizations. He also put together money for scholarships. [13:19] David adopted the mother metric where if your mother is proud of you, what you're doing is right. [14:11] David's mother passed away two weeks before he was going to give a speech dedicated to her. He now tries to do many things in her memory. [15:25] David has achieved personal happiness. David is happy because he's giving away money, he's involved with a lot of organizations, and he loves what he's doing. [17:25] David was inspired by President Kennedy's inaugural address, and he knew he wanted to go into public service. [17:59] People who get to be wealthy are people who want to prove that they had a good idea. [20:46] We learn a lot by failure. Many presidents and business people have failed in the past. [21:32] You accomplish something when you actually dig into something and have tried and failed and then worked harder. [22:54] Passion is essential. No entrepreneur builds a great company if they aren't passionate about it. [23:32] No one person can do anything by themselves. Life is about convincing other people to do what you want. You can convince people by writing, by talking, or leading by example. [25:00] Convincing people to do something is hard. [25:48] Raising children is one of the most complicated things a human can do. [26:40] David worries about his children and his professional life. He also worries about his country. He wants it to do well and to be successful. [28:15] David has a show on Bloomberg and PBS. David has conquered an interview skill that many lack. He actually listens to the answers and adjusts his questions accordingly. [30:06] He is always listening to find out what makes people tick. [31:17] David shares some of his favorite books. He reads two books a week. [33:46] David shares shocking statistics where 30% of people who graduate from college never read another book in their life. [33:54] A book requires sustained thinking. [34:34] David shares Thomas Jefferson's quote that sets the stage for all people being created equal as a goal for us to aspire to. Life, liberty and pursuit of happiness is what life is about. [35:33] He also likes JFK's quote of "ask not what your country can do for you, but what you can do for your country." [36:49] David shares what he would tell his 30 year old self and shares his favorite meal. [37:53] George H.W. Bush was the nicest person he has ever met. Thank you for joining us on HealthGig. We loved having you with us. We hope you'll tune in again next week. In the meantime, be sure to like and subscribe to this podcast, and follow us on healthgigpod.com.